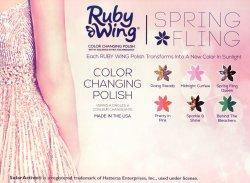 Indulge in the whimsy, the carefree, and the effervescent part of life with Ruby Wing Cupcakes & Champagne. Each decadent color changing nail polish delights the senses and celebrates life's sweetest moments. Lacquer up, put on your party dress and enjoy! It's a movement of people and music coming together in celebration. 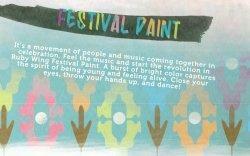 Feel the music and start the revolution in Ruby Wing Festival Paint. A burst of bright color captures the spirit of being young and feeling alive. Close your eyes, throw your hands up, and dance! Rise with the sun and roam the garden. 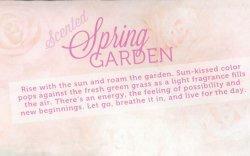 Sun-kissed color pops against the fresh green grass as a light fragrance fills the air. There is an energy, the feeling of possibility and new beginnings. Let go, breathe it in, and live for the day. 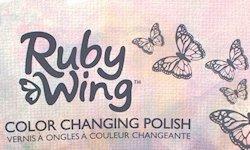 Ruby Wing, the first collection from SolarClub, is every free spirit's dream: nail polish that changes color in the sunlight or daylight.